Google's October 9 event is not just about smartphones and we have evidence that the Mountain View company plans to unveil a brand new tablet not running Android but Chrome OS. The first pictures of the so-called Pixel Slate popped up online a few days ago, but we now have another image that shows an attached keyboard. The Google Pixel Slate has a stylus and can be attached to a keyboard, but does not seem to have a kickstand. The tablet will be announced at the same time as the Pixel 3 and Pixel 3 XL, which is quite refreshing since we can't wait to learn more about its specs. Unlike Google's upcoming flagship smartphones that have been leaked in all their glory in the past couple of weeks, we know very little about the Pixel Slate. As a matter of fact, most of the information comes from what we've been able to identify in these pictures and some benchmarks. 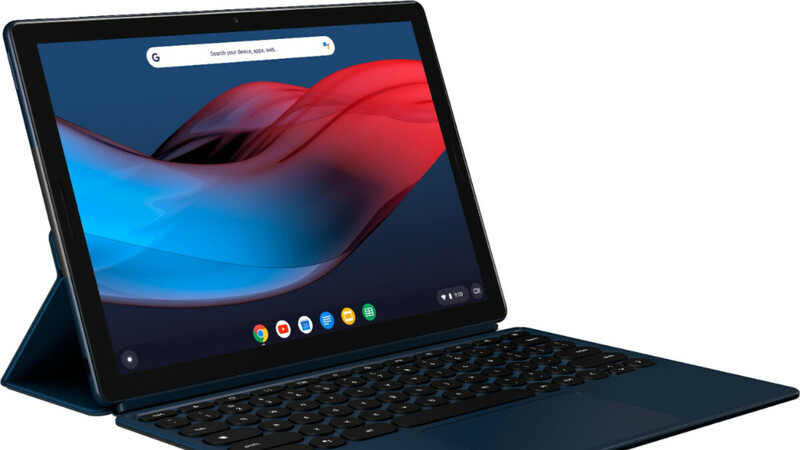 Based on the images leaked, the Pixel Slate will include a USB Type C port, front and rear speakers, and a fingerprint sensor, as well as some accessories like the keyboard cover seen in the picture above, and a capacitive stylus. Hardware-wise, the slate comes equipped with an Intel Core i7 8500Y chipset and 16GB RAM. But specs and looks are not everything when it comes to phones and tablets, so all of the above won't mean too much without competitive pricing. So, let's just wait and see what the Pixel Slate really packs under the hood (since we've already seen what's on the outside) and how much it will cost. If it's not too pricey I may get this as I will soon need a tablet for two purposes, e-books and video playback. If Google doesn't treat this Sony does it's PlayStation portables, it's showing some promise... Slim chance though. I would love to get one, but I'm certain that the price is going to keep it out of reach for me. But will it have dual boot?